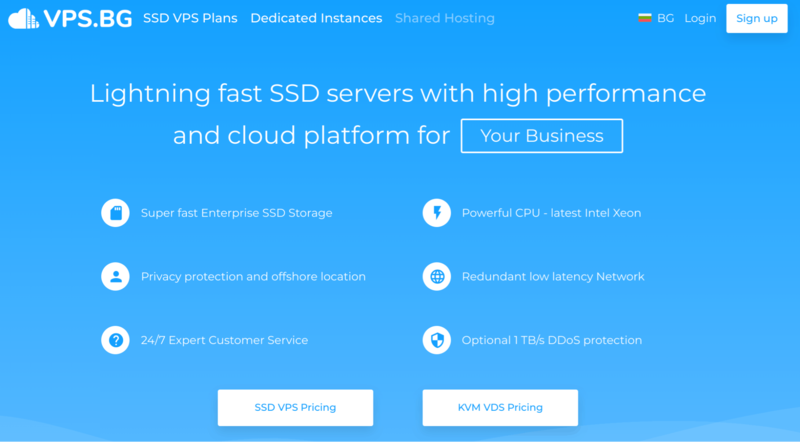 VPS.BG Review 2019: Is VPS.BG a Good Hosting? Relative newcomer VPS.BG offers affordable, user-friendly, feature-packed, enterprise-level hosting plans. And you can sign up entirely online. VPS.BG is a Bulgarian enterprise-level hosting provider that has been in business since 2013. This company puts a premium on privacy and places quality of service above the quantity of customers. Its user-friendly website is available in English and Bulgarian. Like its website, VPS.BG’s selection of SSD VPS plans, dedicated server plans, and KVM VDS plans are extremely simple and straightforward. One of the key selling points of VPS.BG is its strict privacy protection and policies. First, the servers are located in Sofia, Bulgaria, and are not subject to the Digital Millenium Copyright Act ( DMCA). Second, you can run TOR exit nodes for an extra layer of privacy. 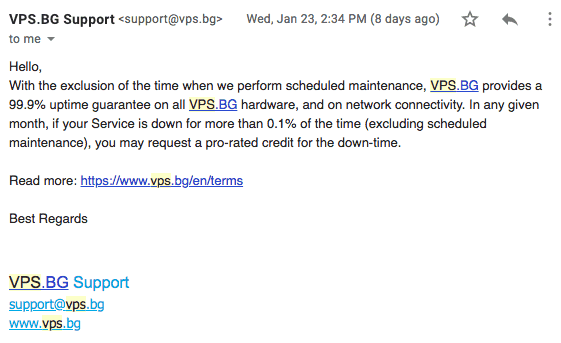 Third, VPS.BG will not keep backups, snapshots, or archives of your data (although you can ask them to do so). Finally, you can pay with Bitcoin for additional anonymity. VPS and VDS plans use the Kernel-based Virtual Machine (KVM) to isolate you from malicious or heavy traffic that might affect your hosting. And customers have full root access, so you can easily upgrade, restart, reinstall, or install a custom operating system. Whilst I’m impressed with the plans, my only reservation is the lack of customization options. Many VPS and VDS hosts provide base packages that are fully customizable in terms of RAM, CPU cores, etc., but VPS.BG does not. The prices are great. You can get a VPS or VDS at a monthly price that is very affordable for the included resources. And unlike many enterprise-level hosts, the simple signup process can be done entirely online. Plans are purchased only on one-month terms, and there is a 14-day money-back guarantee. 24/7/365 support is available for infrastructure, network, and server hardware issues. For non-emergencies, help is available during weekday working hours. When I contacted support at midday on a Wednesday via the online contact form, I received a response within ten minutes that fully and politely answered my question. VPS.BG currently only sells VPS and VDS packages, but should soon be selling SSD-based shared hosting too. These new plans should perfectly complement the current well-thought-out, affordable virtual server plans. Wondering how VPS.BG stacks up against other Web Hosting companies? Enter any other Web Hosting company and we will give you a side-by-side comparison.